Irina Vlakh has won governor’s elections in Gagauzia, an autonomous entity in southern Moldova, according to central election commission. CHISINAU (Sputnik) — Irina Vlakh has won governor’s elections in Gagauzia, an autonomous entity in southern Moldova, with more than 50 percent of the votes, the head of the Gagauz central election commission confirmed to RIA Novosti Monday. Vlakh, an independent candidate supported by the Party of Socialists, stands for closer ties with Russia and the Commonwealth of Independent States. “The results of the voting are still being processed. But I can say already that there will be no second round. Vlakh received more than 50% of the votes,” Valentin Kara said. A source in Irina Vlakh’ electoral headquarters told RIA Novosti that Vlakh received 53,21 percent of the votes. 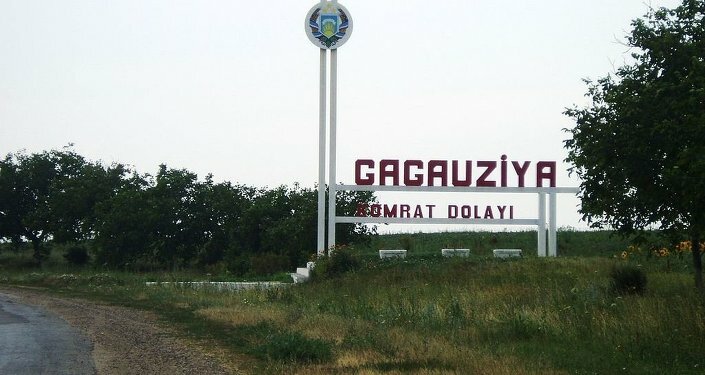 Former mayor of the Gagauz capital city Comrat Nikolai Dudoglo came second with 18,20 percent, followed by the first deputy chairman of the Executive Committee of Gagauzia Valerii Ianioglo with 7,65 percent of the votes. The Gagauz central election commission is expected to announce the final results of the elections on Monday before noon. The autonomous republic in southern Moldova has a population of about 160,000, mostly ethnically Gagauz. In February, 2014 Gagauzia held a referendum on which more than 98 percent of population voted in favour of Moldova joining the Eurasian Customs Union instead of the European Union.